‘Terpsichore’ a new experimental video from the young creatives at DIVAcontemporary STUDIO. In Greek mythology, Terpsichore (/tərpˈsɪkəriː/; Τερψιχόρη) “delight in dancing” was one of the nine Muses and goddess of dance and chorus. She lends her name to the word “terpsichorean” which means “of or relating to dance”. 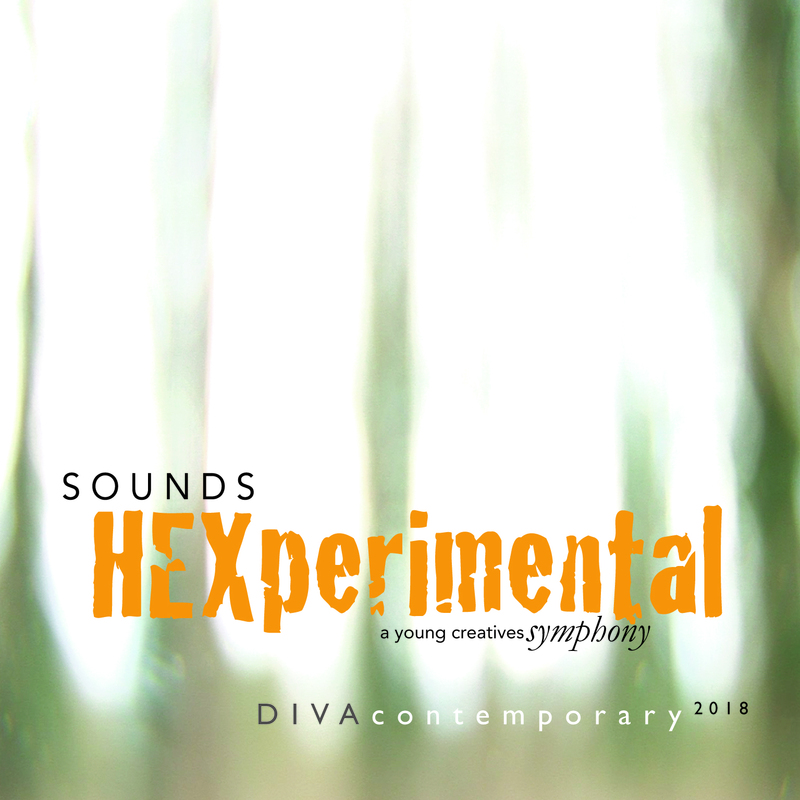 SOUNDS HEXperimental :: 30 minutes of intriguing sound experiments by members of the STUDIO’s Home Education Media Group. The young creatives began the four week series of workshops by exploring the local environment, recording sounds and collecting objects. On returning to the studio they were given the task of responding and recreating the collected sounds. 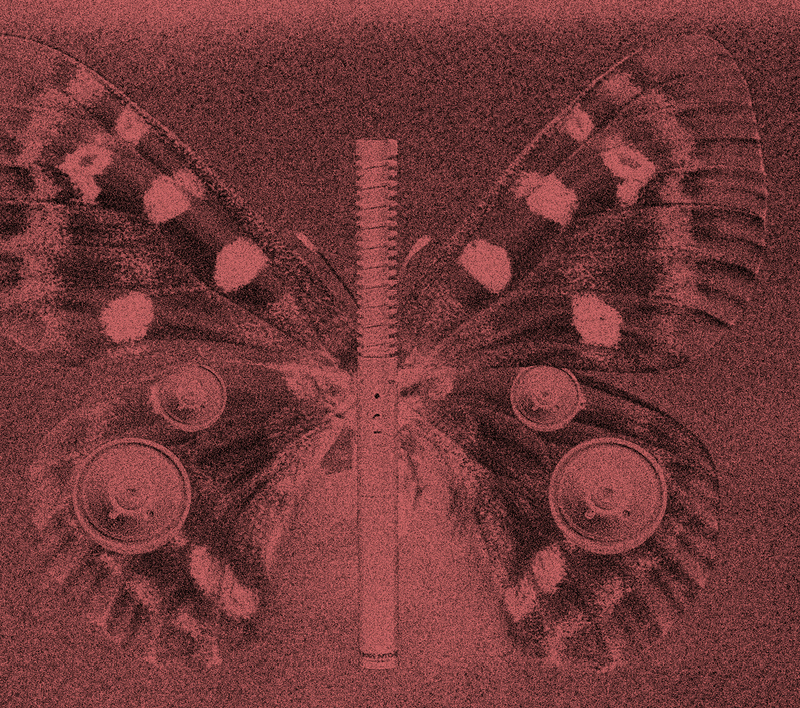 The resulting audio and collected sounds were then mixed, manipulated and brought together to create this 12 track (with 2 bonus videos) download. Contributions from Howard Bowering, Margaret Hearing, John Story and John Story Junior, reading the wartime reminiscences of Martinstown residents Ron Howard, Dolly and Harry Bowering. Bell Ringers: Robert Walters, Timothy F. Collins, Mike Pitman, D. John Knight, Howard J. Bowering and Robin J. Mears. Recorded and edited by David Rogers. 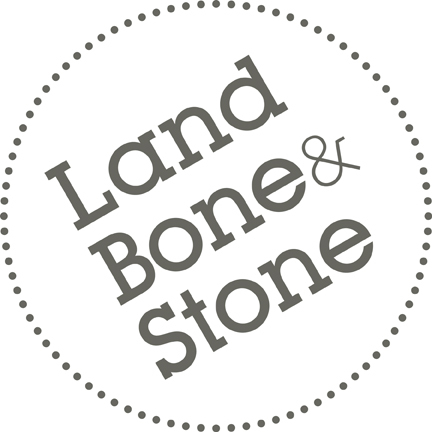 additional audio by Mandy Rathbone and ivon oates. Contributions from Jim Godding, Lee House, Rachel Bailey, Grant Neven and members of the MCC Juniors. additional audio by David Rogers. Led by: Dr Marcus Leadley, James Bulley, David Rogers, Professor Adrian Newton. 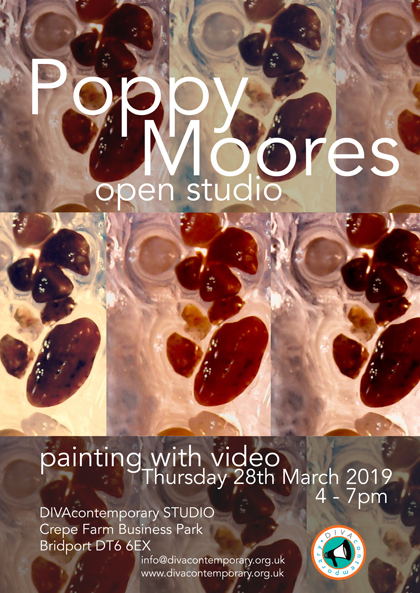 participants: ivon oates, Mandy Rathbone, Sarah West, Eva Fahle-Clouts, Jemima Talbot-Rogers, Yoshiki Ichihara, Han Joon Sung, Duncan Silvey, Guy Fleisher. ‘sound: lost and found’ was an encounter with environment that focused on sound and listening. A circular walk from West Bay to Bridport, Dorset, and back. 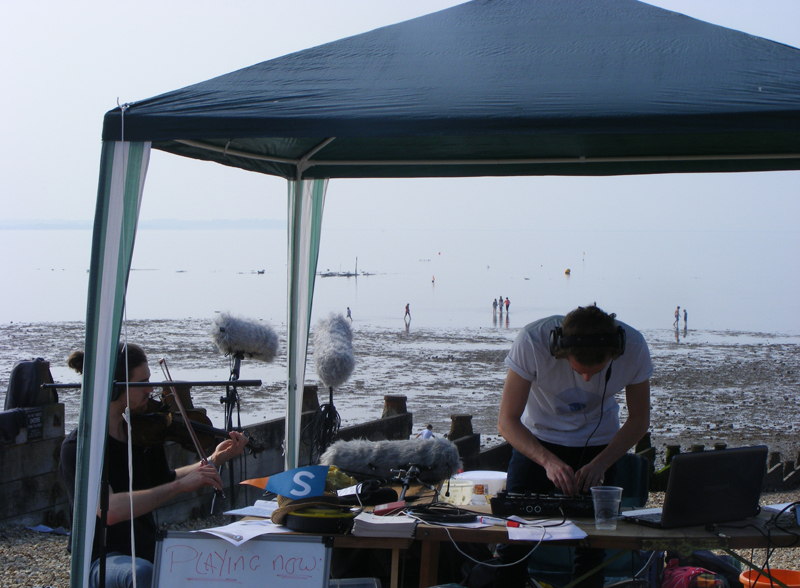 Seeking out ‘lost’ and ‘hidden’ sounds – from inside objects, underwater sounds and electromagnetic sounds, recordings made during the walk were used to realise the Lost and Found Symphony, a soundscape composition produced during a live, improvised performance at the Salt House, West Bay, Dorset. 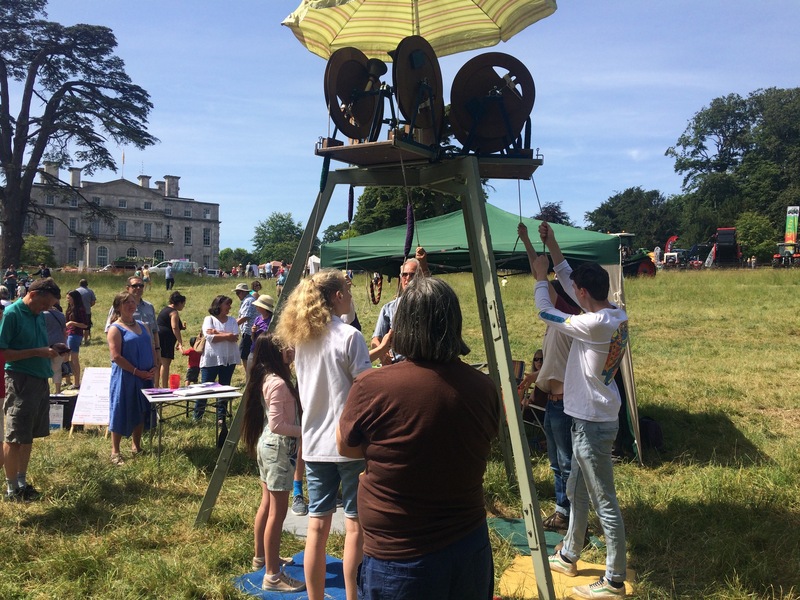 The Being Human Festival led by the School of Advanced Study, University of London, in partnership with the Arts & Humanities Research Council and the British Academy.Event supported by Goldsmiths University, London, West Dorset District Council, friends and family on crowdfunder. Plastic Ocean opens with Kate Moran, recording the Pacific Ocean off the coast of Canada, speaking of the detrimental effects by humans of sound on whales, in a 2017 Radio 4 interview. 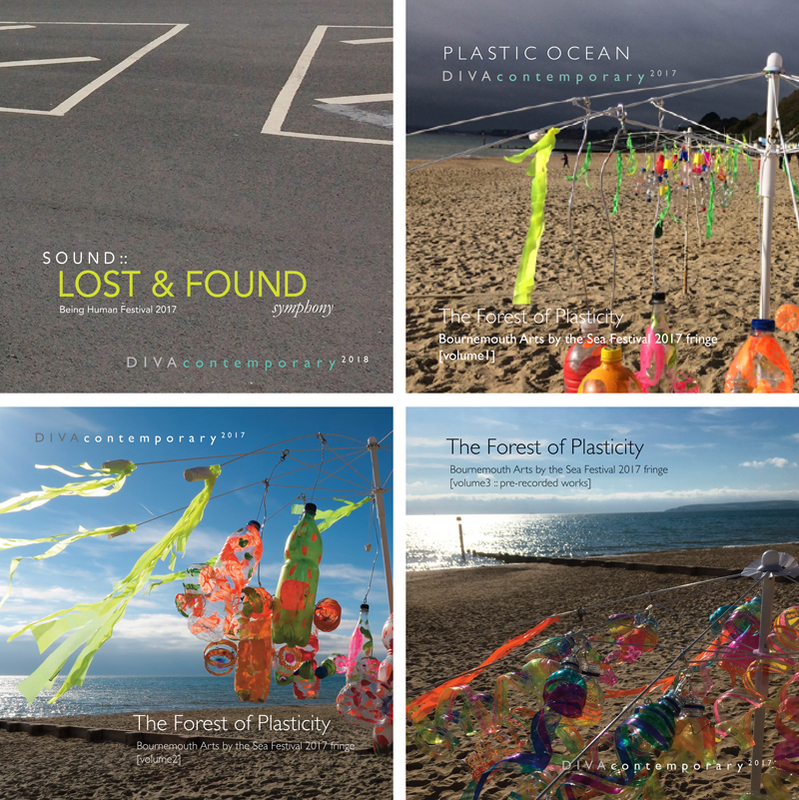 ivon oates and David Rogers played a mix of ‘plastic sounds’ as a response to recordings of whales and dolphins, using the very same materials that pollute the oceans, to highlight the impending catastrophic imbalance to the environment. The piece ends with the devastating statistic that …. Curated by Adrian Newton, a place of transformation and mutability. Where sound is plastic and plastic is sound. Sound art and experimental music by local and international artists, exploring sonic responses to ocean plastic.